Made of high quality adhesive vinyl stickers. These skin sticker sets protect your devices from dust and scratch and no peeling off after a long time used. Personalized Chameleon decals decorate and beautify your console & controller. Precise cutting to fit the devices well. 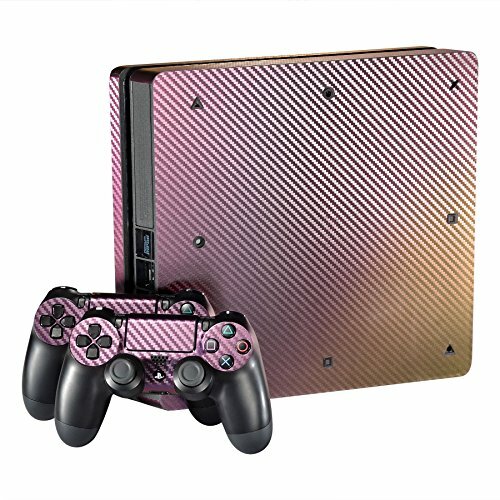 Full set faceplate skin covers securely, includes 1 console sticker , 2 controller stickers. 1>Wipe down any dust ,grease or other contaminates of your console & controller with the rag and rubbing alcohol. 2> Peel the paper one by one, NOT to let the adhesive side touch anything. 3> Starting from one corner, take a card or something with a thin, flat surface to smooth it on. 4>If installed slowly and carefully, there should be NO air bubbles left under the skin. Tips: For the best result, apply hot air(using a hair dryer) to the decal surface to activate chemical agent for better stickiness. Note: The console and controller are not included! If you have any questions about this product by eXtremeRate, contact us by completing and submitting the form below. If you are looking for a specif part number, please include it with your message.